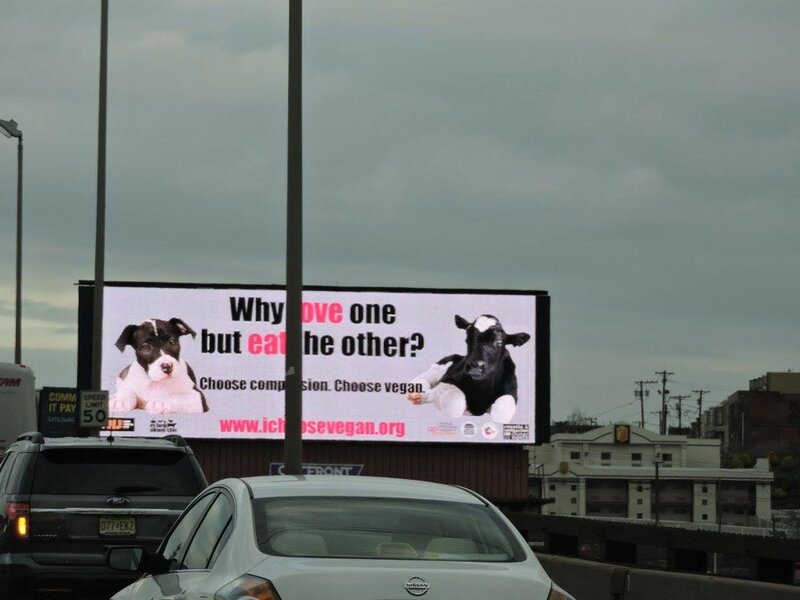 Photos of the three billboards - two in Kingston and one in Saugerties - spreading the message of veganism. Advertising is the ultimate seed planting tool! 2019 Ad Campaign in the Hudson Valley! One will be on Route 28 next to the Catskill Park Storage, across from Etain. The second billboard will be on Ulster Ave. across from Meineke. The third billboard will be in Saugerties on Route 212 near Old Kings Highway, just west of the Thruway. Many thanks to Rebecca Mass and Ellen Katz Mass for their design work and help. Billboards in Hudson Valley and NYC! For the month of January, we had 4 billboards! One in NYC at the entrance to the Battery Tunnel on the Brooklyn side and three in the Hudson Valley area. More billboards will be going up later in the year. In August of 2016, we had one billboard at 9th Ave. & 37th St. in Manhattan which was followed by another billboard in September which was located next to the Manhattan Bridge at Henry Street in Chinatown, NYC. The NJ Transit bus posters were also up at the same time. We got a lot of positive feedback for these! This was our first ad campaign. We were ambitious! First we had one billboard at the entrance of the Lincoln Tunnel on the New Jersey side. Then we had a PATH train campaign with three different posters. Finally, we had an electronic billboard in Times Square. 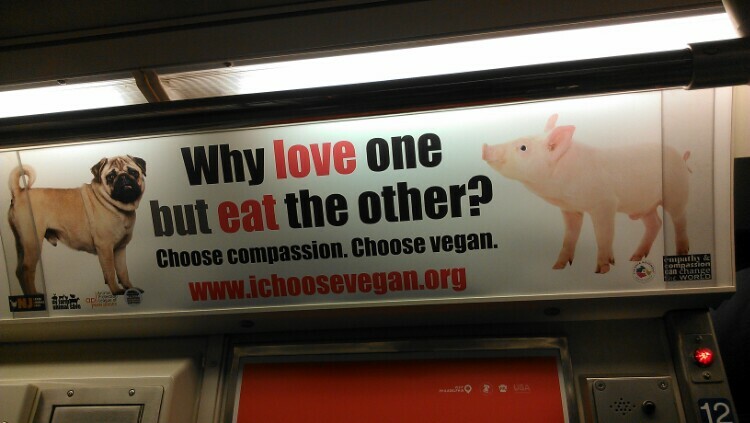 All asking the same question: Why Love One But Eat The Other?